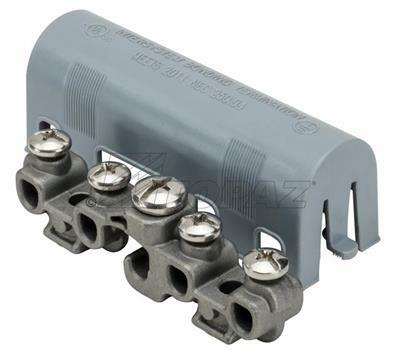 Topaz’s zinc Bonding Bridge for intersystem bonding provides safe and reliable intersystem bonding between power and communication grounding systems. Meets the stringent requirements of 2008 NEC Article 250.49. Fabricated from tin plated zinc for optimal conductivity with stainless steel hardware and a weather resistant polycarbonate cover. Suitable for a wire size range of 6-2 awg; featuring a lay in lug for easy installation and inspection; cULus approved.